Janet Primomo joined the UW Tacoma Nursing Faculty in 1992 as one of its three founding faculty members. Her scholarly work focuses on community/public health, environmental health, and chronic illness care. As a member of the Tacoma Pierce County Asthma Prevention Partnership (now the Puget Sound Asthma Coalition), Dr. Primomo conducted evaluation research on multi-faceted community-based chronic disease prevention programs, including Clean Air for Kids. She is also a member of the Tacoma Pierce County Community Health Improvement Plan and has held leadership positions with the Washington State Nursing Association, Psi-at-Large Chapter of Sigma Theta Tau International Honor of Nursing, and the American Public Health Association. 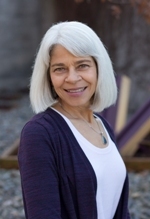 Dr. Primomo received her PhD (1989) and MN (1982) at the University of Washington Seattle and her BSN (1975) from Russell Sage College in Troy, New York. She received UW Tacoma's Distinguished Teaching Award in 1997 and UW Tacoma's Community Engagement Award in 2013, and the Dr.Trudeau Award from the American Lung Association of Washington for outstanding research and volunteer leadership. She was inducted into the Washington State Nurses Association's Hall of Fame in 2014.